Hello! 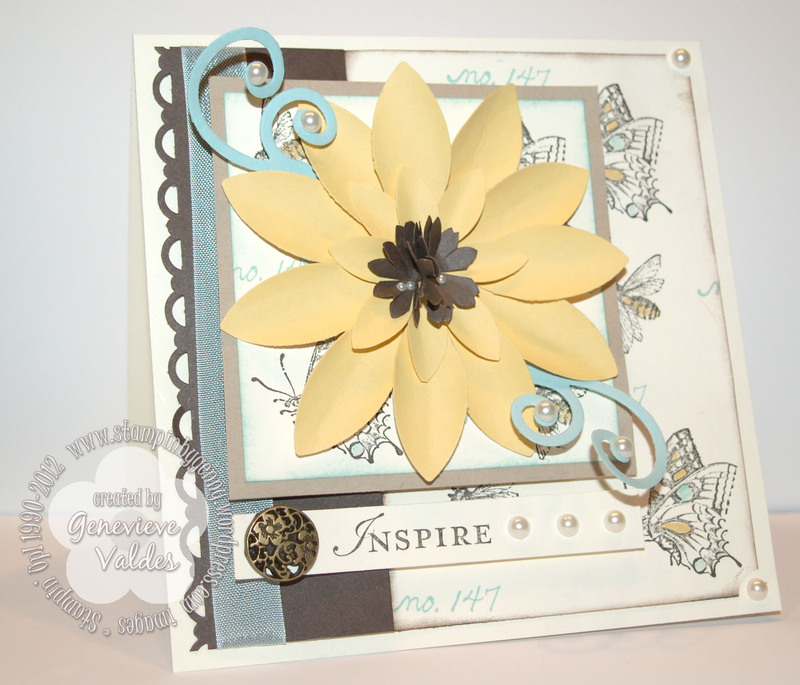 This week at Hand Stamped Sentiments we have a spring inspiration challenge. Create any type of papercraft project and let spring inspire you. My card this week is inspired by an article I saw in the Success magazine. This magazine is for Stampin’ Up! demonstrators and is always helpful with showing new projects and techniques. I saw these Blossom Petals flowers and I thought perfect! Using the Blossom Petals Builder Punch, I punched 11 of the larger petal and 8 of the small petal from So Saffron card stock. I used a pencil to curl in the petals. I punched a square and filled in with double side sticky tape. I then arranged the large leaves equally then used double side sticky tape for the center petals and arranged them equally also. The centers are two flowers punched from the Boho punch. My accent color is Pool Party. The background is stamped with stamps from the set Nature Walk. I colored in the bees and the butterflies with So Saffron and Pool Party markers. The edges are sponged with Pool Party and Early Espresso. I hope you’re inspired by spring. 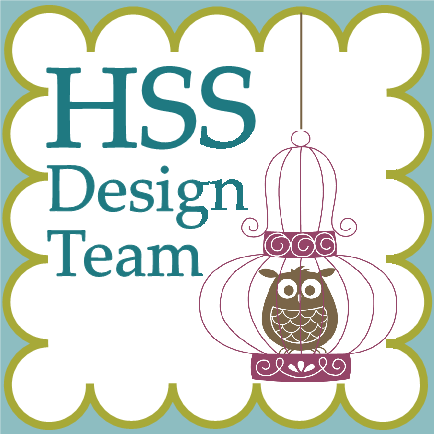 See all the wonderful projects from our talented design team. We’d love to see your spring creations. Wow, Genny, you went all out! This card has so many gorgeous layers! Love your blossom, especially the center flowers, how they really pop out. Fabulous!!! Simply STUNNING!! 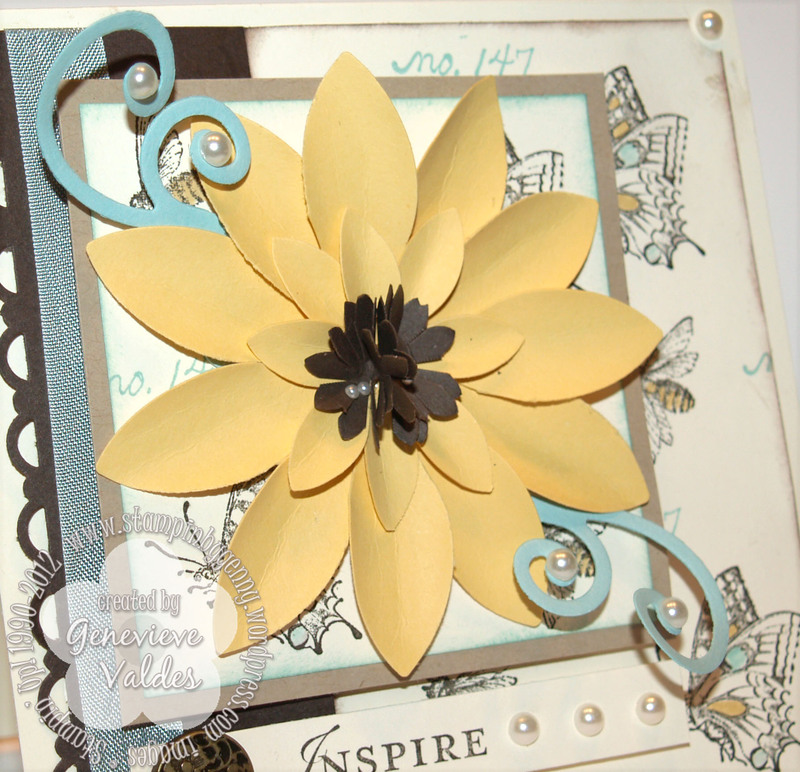 Your 3D flower and all the curly pearly bits scream SPRING…love your beautiful creation Genny! Love your flower! It is gorgeous. The rest of the card is fantastic also. Love, love, love this card! Great choice of colors and the flower is amazing!! great texture and love the accents!!! Great Spring Card!! Genny, that flower as the centerpiece is beautiful. I remember that on SS and you did a gorgeous job recreating it. Love your color choices too. Very soft and perfect for Spring.